It's almost time to be part of that heavenly scene! 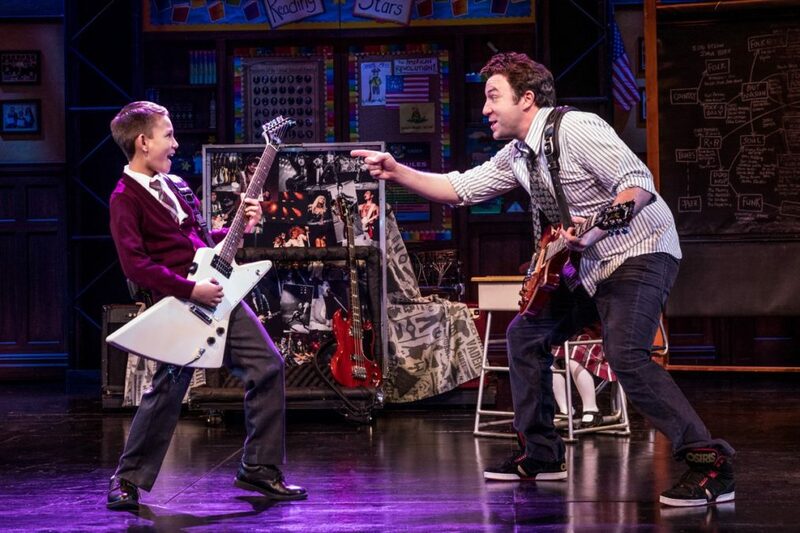 Tickets are now on sale for the national tour of School of Rock: The Musical in Boston. The touring production of the smash hit Broadway musical, based on the 2003 movie of the same name, will open on February 12 at the Boston Opera House and close on February 24, 2019. With a book by Julian Fellowes, music by Andrew Lloyd Webber and lyrics by Glenn Slater, School of Rock tells the story of wannabe rock star Dewey Finn, who poses as a substitute teacher at a prestigious prep school. When he discovers his students’ musical talents, he enlists his fifth-graders to form a rock group and conquer the Battle of the Bands. The cast of School of Rock includes Merritt David Janes as Dewey, Lexie Dorsett Sharp as Rosalie, Layne Roate as Ned, Madison Micucci as Patty and an entire band of super-talented pint-sized performers. Directed by Laurence Connor, School of Rock was nominated for four 2016 Tony Awards, including Best Musical, Best Book of a Musical and Best Original Score. The musical continues to play Broadway's Winter Garden Theatre and the West End's New London Theatre. The show's score includes such popular songs as "When I Climb to the Top of Mount Rock," "You're in the Band," "Stick It to the Man" and "School of Rock." Get ready to jam ‘round the clock by getting your tickets to School of Rock: The Musical today!